The area's temperate climate, beauty and wide open sunny mountainous valley is what first attracts people. The rest of the area's attributes keep them coming back and staying for good. Generally speaking and from my perspective, those who live within the Creston Valley and Kootenay Lake East Shore have similar values that relate to “wholesome living” or “wholesome lifestyle”. People living here are family and community oriented, and they have a huge appreciation for nature and all that the outdoors offers them. Many people appreciate gardening within this zone 5 to 7 climate. ​There are hundreds of visual artists here with some opening up their studios for public viewing and sales. What it means to retire to Creston Valley and Kootenay Lake east shore can be summed up by saying that this area is able to satisfy a youthful retiree’s needs and ease them into their old age well supported, in due time. Retirement looks very different for each person who lives in this area. I call retirement, re-inspire-ment. There is freedom that comes with this time of life and there is room here for self-exploration. 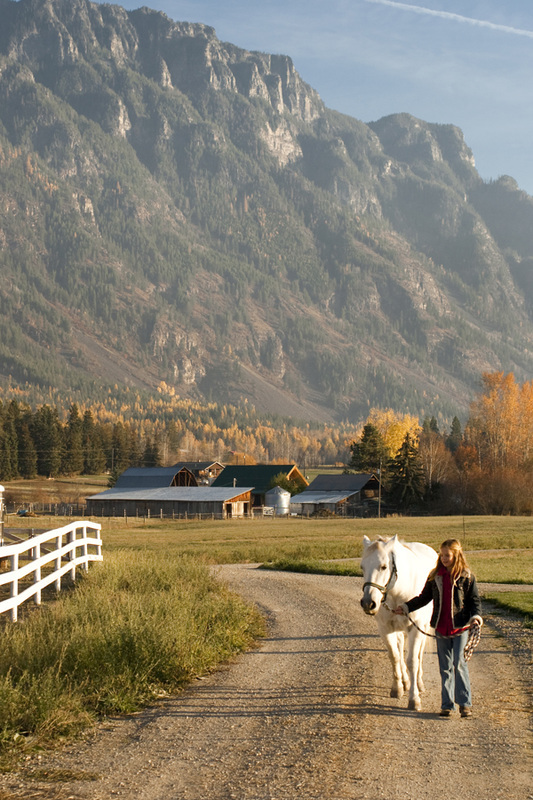 Follow this link to a list of some of the reasons why people retire to the Creston Valley. Sourcing locally grown food is a big deal to the people who live here. We are fortunate that the valley that produces a variety of food, makes it possible for us to have a complete diet made up of all local food (but not restricted to only local). I love living where I have easy access to fresh fruit and veggies, milk and cheese, honey, meats, jams and jellies, condiments, preserves, ciders and wine. I love having locally handcrafted candles, soaps, lotions, herbal remedies and spa products. As many locals attest to, having an abundance of locally grown food and food products is one of the main attractions for living here. Take a self guided Food and Wine tour to see for yourself. The abundance of locally grown food adds to the quality of wholesome natural living. It connects us to the land and the people, from a place of reverence. It also makes for a beautiful pastoral setting. Many people around the world are opting for locally grown food that is accessible primarily through farmers markets instead of food that is transported across great distances from big agricultural corporation production sites to grocery chain stores. We want to know the conditions our food was grown in and what our food has been subjected to before we consider purchasing it for consumption. This is more than a trend. In this valley we are very luck because we have a variety of categories of locally grown food. We appreciate that the growing conditions are ideal for gardening and farming. Local farmers are collaborating with each other and are working with nature. Many traditional farmers are switching to more natural methods now that they have realized the value in doing so. Support for those who want to learn more about growing plants is readily available through the local greenhouses, College of the Rockies, ﻿Greenheart Herbal Society﻿ and through networking with other gardeners and food growers. Drop by our Farmer Market for fresh produce and local made treasures from different producers or visit Spectrum Farms. Order your local seasonally grown food and local produced foods online at Kootenay Farms and pick up in town on Wednesdays or make weekly orders for organic deliveries from Cartwheel Farms. You can also arrange to purchase produce and meat from Roots and Vine Farm and purchase locally grown grain and flour from Full Circle Farm. Stay informed about local food with Jesse Willicome's blog articles at the Creston Valley Food Hub. 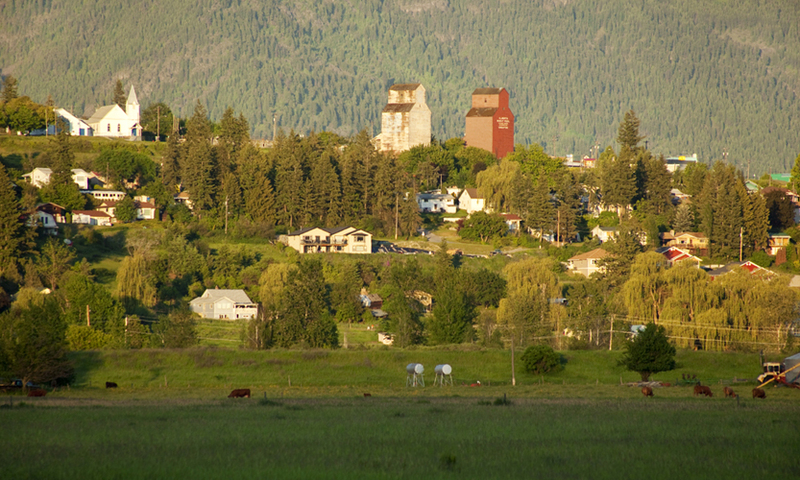 The two remaining grain elevators are landmarks and represent a rich history. The Kunze Fine Art Gallery is located at the grain elevators. A History of Creston's Downtown Grain Elevators ﻿book ﻿is available through the Creston Museum. As a community, this is what we are learning and have learned. Wildlife viewing is easy here. Just take a drive along any road. I love kayaking because it gets me really close to nature at a safer distance. I have seen all kinds of birds, a Moose with its calf, deer, beavers, otters and a bear having a shower by spraying paw fulls of shimmering water over its self. 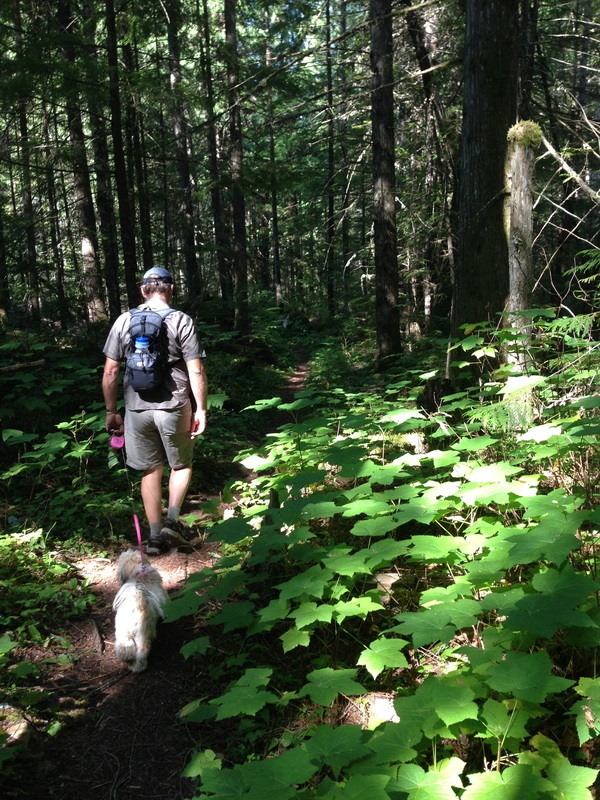 "Within the natural area are 265 bird species and the highest diversity of trees in BC. 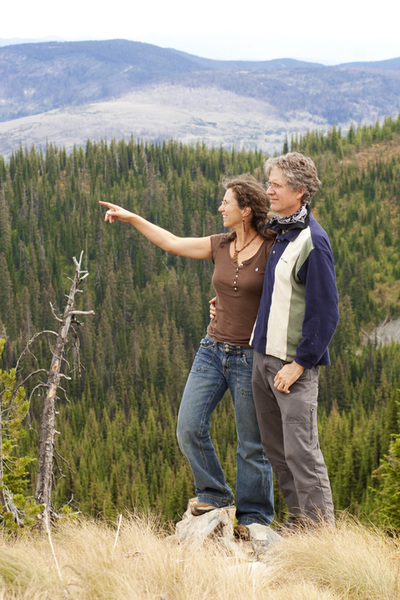 The South Selkirks Natural Area includes the Creston Valley, which supports the only known breeding population of northern leopard frogs in BC, the southernmost mountain caribou herd in Canada and a threatened population of grizzly bears. In addition to high-profile wildlife populations, 30 species nationally listed as endangered, threatened or of concern are found here." "The Creston Valley is a migration corridor for Tundra Swans, Greater White-fronted Geese, and other waterfowl and is the largest regional locale for wintering birds of prey in the interior of the Province. It is considered that in British Columbia, the Creston Valley Wildlife Management Area is second only to the coast as a flyway route for numbers of migrating waterfowl that follow it twice yearly." - Creston Valley Wildlife Management. Educational wildlife services are available to the public from May to October and is offered by the Creston Valley Wildlife Discovery Centre. For more information on hunting regulations read the article "Hunting in BC". For information on children learning to hunt read the article "When and how to get children started". The Creston Valley and Kootenay Lake East Shore, with its abundance of water, provides for many outdoor activities. Most locals choose to participate in non-motorized activities or at least operate their motorized vehicles consciously and considerately. 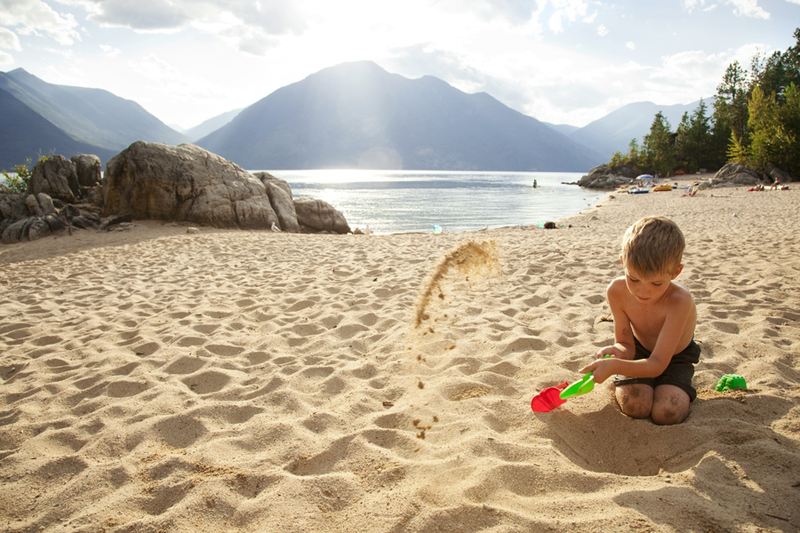 Many locals enjoy swimming, sunbathing on the beaches and boating on the Kootenay Lake. They also have fun floating down the Goat River or Moyie River in their inner tubes. Just imagine – this land was once situated at the edge of the ocean. 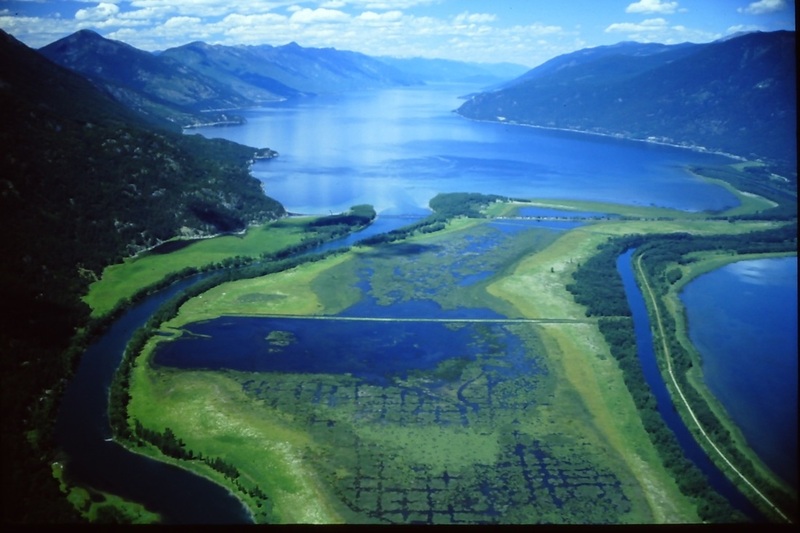 The Creston Valley and east shore of the Kootenay Lake once was at the edge of the giant continent of Columbia. The Skimmerhorn Mountain, a rampart, is 1.5 billion years old. Looking across the valley where the ocean once was are mountains that are only 110 million years old. 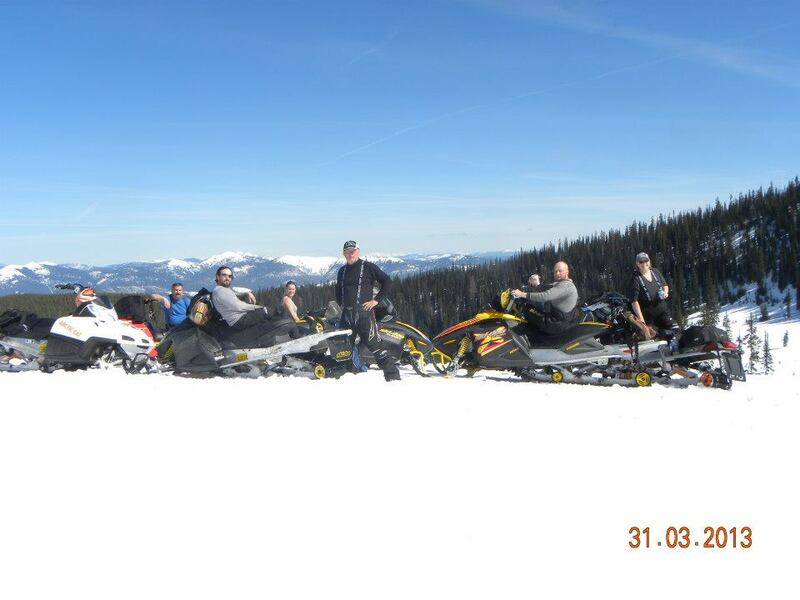 There is a forest service road that can take you to the top of Thompson Mountain (a part of the Skimmerhorn Mountain). There is a spectacular 360 degree view at the top and a ridge walk with many vistas to enjoy. Sourcing local culinary specialties can be a bit of a treasure hunt. Presently the simplest way is to drop by the boutique stores and visit the Farmers Market. 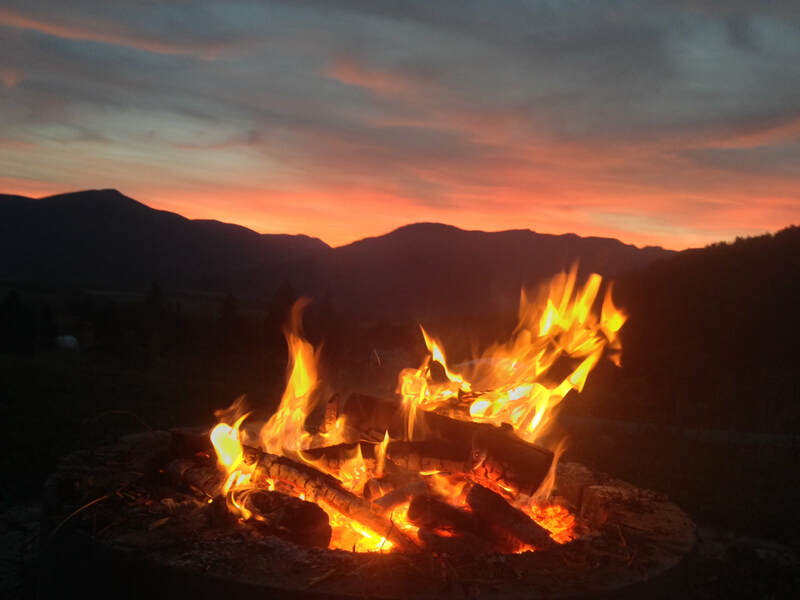 Enjoy both non-alcoholic ciders and hard ciders, as well as vinegar produced by William Tell located in the Creston Valley. The Creston Valley is moving beyond what is considered an emerging producers to now being considered the Kootenay Appellation. The wineries here present some very fine award winning wines. Visit: Skimmerhorn Winery and Baillie Grohman Winery and Wynnwood Cellars Estate Winery. The arts and culture community has flourished since I first arrived back in the early 80s. We now have a very busy arts community that includes (but is not limited to) Arts Council of Creston, Art Link, Public Art Society, Valley Mudders (pottery studio club), and Artisans of Crawford Bay. We have hundreds of visual artists in our valley, with many having their own gallery or are showing in local galleries. Find out more by taking an arts and culture self guided tour. Watch for the seasonal Wine Art Bus Tours. As well as a thriving performing arts community. Enjoy performances put on by local performance groups, including Footlighters, and visiting performances hosted by Creston Concert Society. During the summer months outdoor entertainment and festivals are held throughout this area. For instance, Star Belly Jam held in Crawford Bay during mid July brings in performances attracting large audiences. Every summer weekend Stay Live Productions brings in entertainment to the 3 Eh Stage that is surrounded by tall cedar trees and is located behind the Ramada Hotel. This stage is also home to the KGB Comedy fest weekend. Professional comedians come here to combine their vacation with their work. Throughout the summer Baillie Grohman Winery is a venue for entertainment. This lovely setting brings out the local culture. 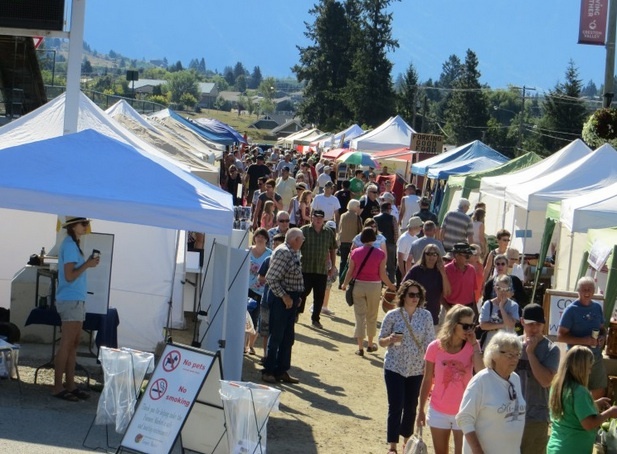 The Creston Valley Chamber of Commerce and the Kootenay Lake Chamber of Commerce, with their Visitors Center, can help you locate artists and hook up with artist groups. The College of the Rockies can let you know when arts related classes are being held. 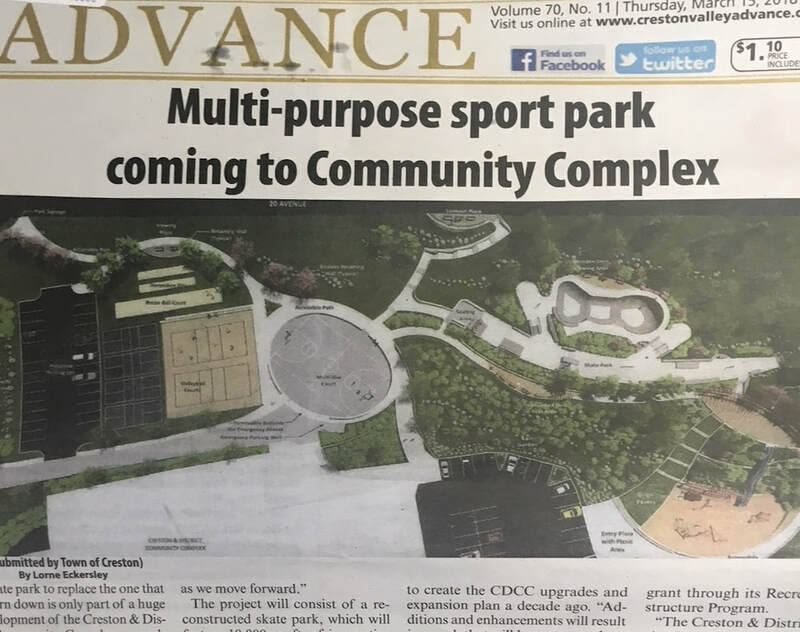 "The Creston and District Community Complex, which is owned and operated by the Regional District of Central Kootenays (RDCK), is proud to announce a major project to upgrade the outdoor property at the Creston and District Community Complex. The project is being funded through the Federal Gas Tax Fund, administered by the Union of BC Municipalities in partnership with the Government of Canada and Province of British Columbia. There are many places here to explore by kayak or canoe. 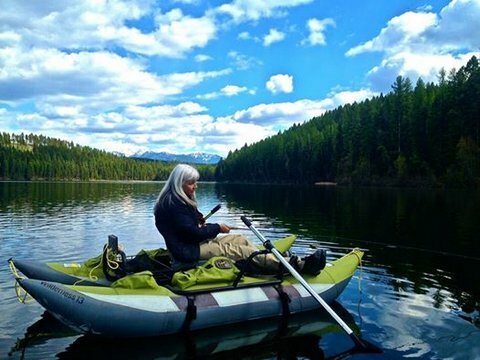 For instance, you can paddle through the marshes, on the channels, on the Kootenay River and even up the Goat River, on Duck Lake and on the Kootenay Lake. Kuskanook Park (a raw natural setting) floods in the spring and makes for an enchanting paddle through the Cottonwood Trees (see photo above) . To find kayak and canoe water access online visit www.crestonvalleytrails.ca. If you do not have a kayak or canoe yet you might want to try renting the experience from www.paddleandportage.ca . While out paddling don’t be surprised if from a safe distance you spot a Moose and her calf drink from the water or a happy bear shower itself with a spray of droplets scooped from the channel or an Eagle watching you dip your paddle or an Osprey dive for its dinner. These are but a few interludes one experiences as they explore and observe from the tranquil waters throughout this valley. During the winter you can try walking on water or skating or just gazing through the ice but I suggest you check to ensure the ice is thick enough for your weight to be safe. Imagine living where you have over 30 affordable beautiful golf courses to choose from. Some are only minutes away and others take a couple hours of scenic driving. The sophistication and size of the courses range from small folksy to large masterpieces. The Creston Valley Golf Course, within the Creston Valley is a professionally designed course with beautiful vistas. 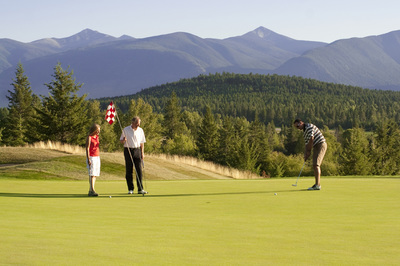 Along the East Shore of the Kootenay Lake in Crawford Bay is the Kokannee Springs Golf Course. As a flagship of the Kootenay region, Kokannee Springs Golf attracts golfers from far and wide. A little further down the road locals enjoy playing a round at the small friendly Riondel Golf Course. Take a half hour drive across the US border from Creston and meet the folks on Mirror Lake Golf Course at Bonners Ferry Idaho or head west and play a game at the Salmo Golf Course. 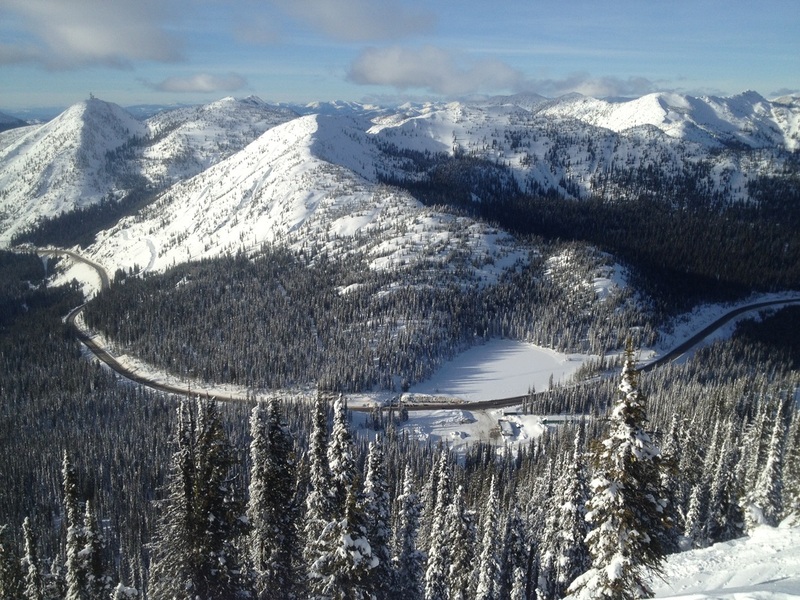 Hang gliding, paragliding or ultra lite flying are all possible from Thompson Mountain and Goat Mountain (over looking the Creston Valley). What is the best way to connect into this community and feel like you belong? In my experience the best way is as a volunteer. A small community has fewer layers of complex systems and structures than a city has. This makes a small community easier to navigate and find your place within the community. 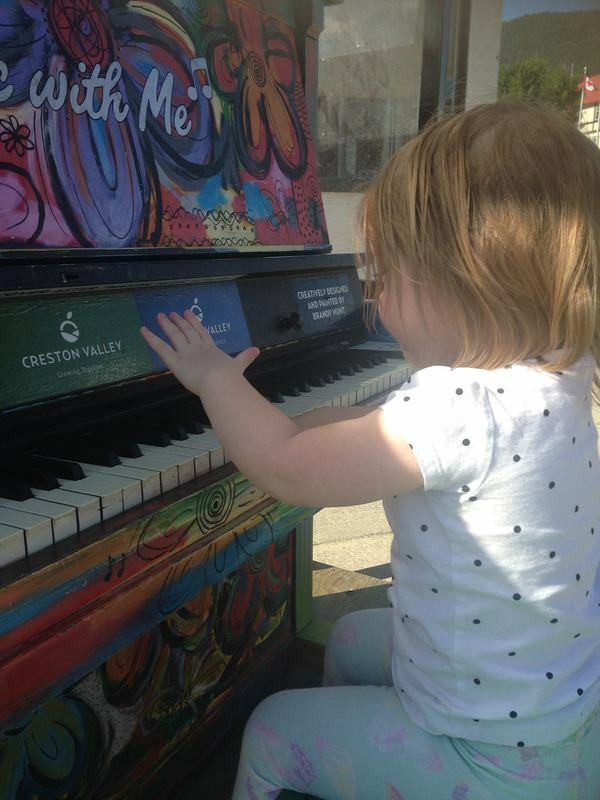 In the city you can feel disengaged from the community but in the Creston Valley and East Shore of the Kootenay Lake, nearly everyone plays an active role in the building of community. 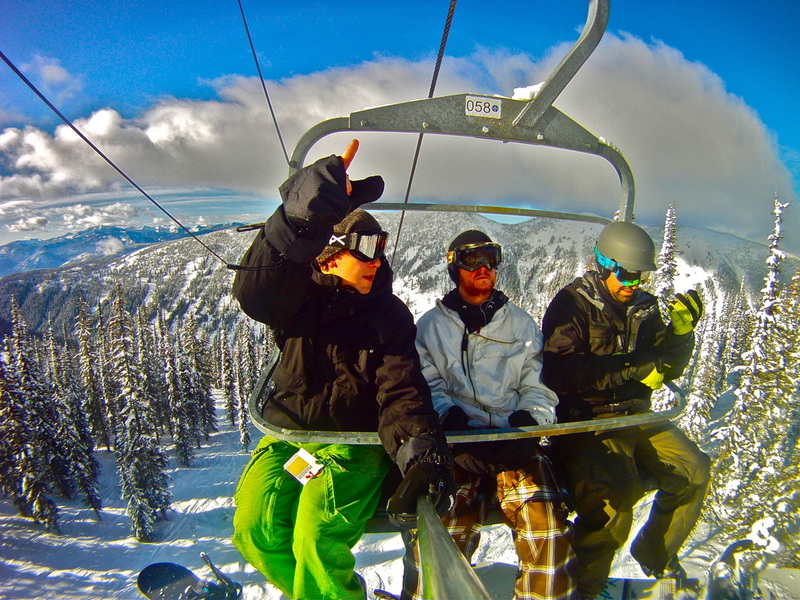 Clubs and organizations are easy access points for meeting locals with common interests. And through your volunteer contributions you’ll become a valued and appreciated member of the community. 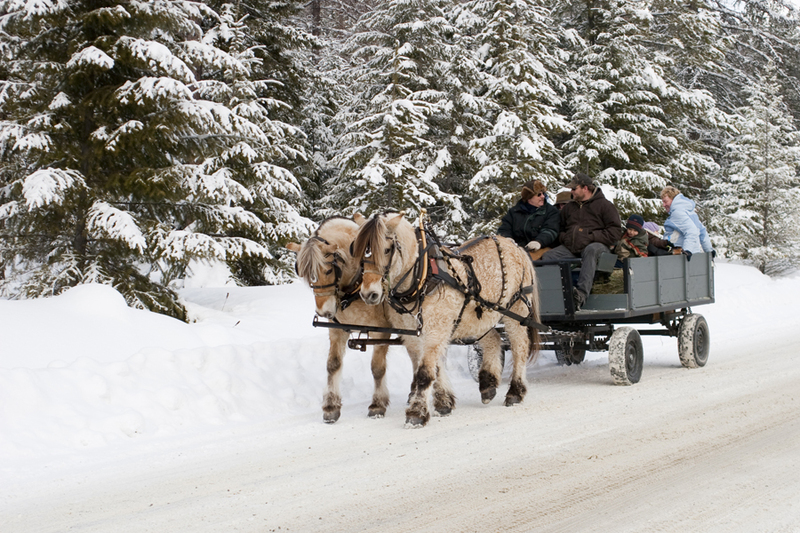 There are many responsible ways to enjoy the back-country. Joining a group provides a culture of stewardship, friendship and support. 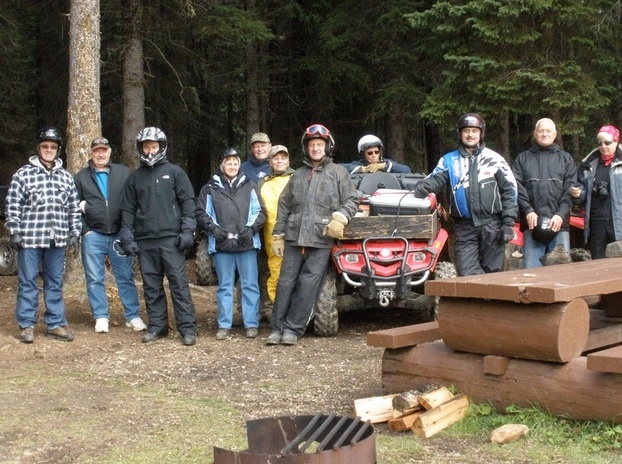 The Creston Valley Quad Squad holds regular meetings on the first Wednesday of each month from April thru October. Right here and within 3 hours drive we have access to some of the best fresh water fishing in North America. 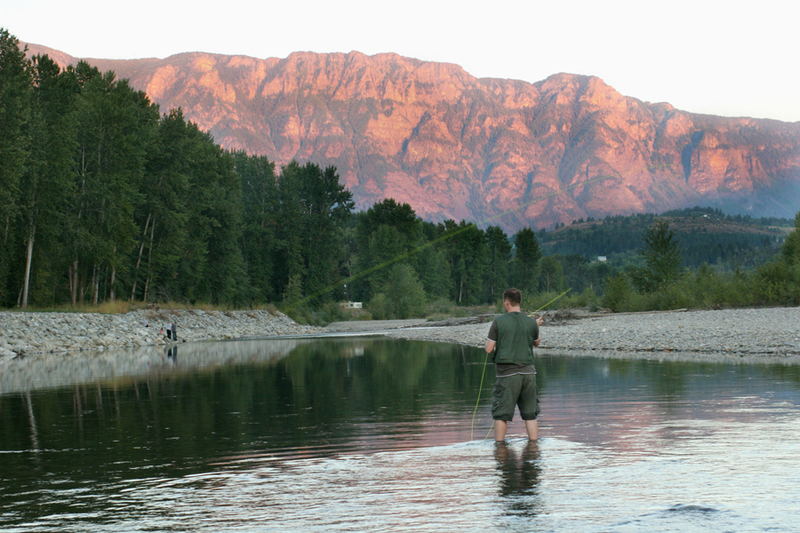 The Fresh Water Fisheries Society of BC stocks 200 lakes within the Kootenays. We just happen to be in the center. 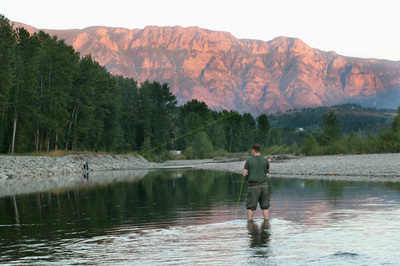 There are many locations to fish in the east Kootenays and the west Kootenays. The society also provides learning opportunities, including the teaching of all ages how to fish and about conservation. A fishing license is required for 16 years and older. 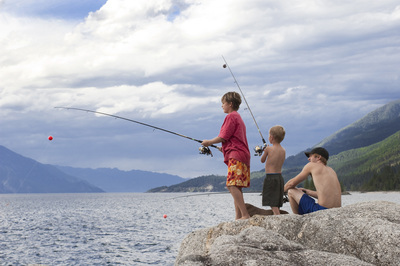 Kootenay Lake is well known among fishermen for its Rainbow Trout and Kokanee Salmon. However its next door neighbour Duck Lake BC, offers truly unique Bass fishing opportunities, and is one of the best ice fishing lakes in BC. The best time to catch a Bass? Right in the middle of winter, through the ice. You'll likely catch a whole lot of Yellow Perch as well, so its rarely dull. 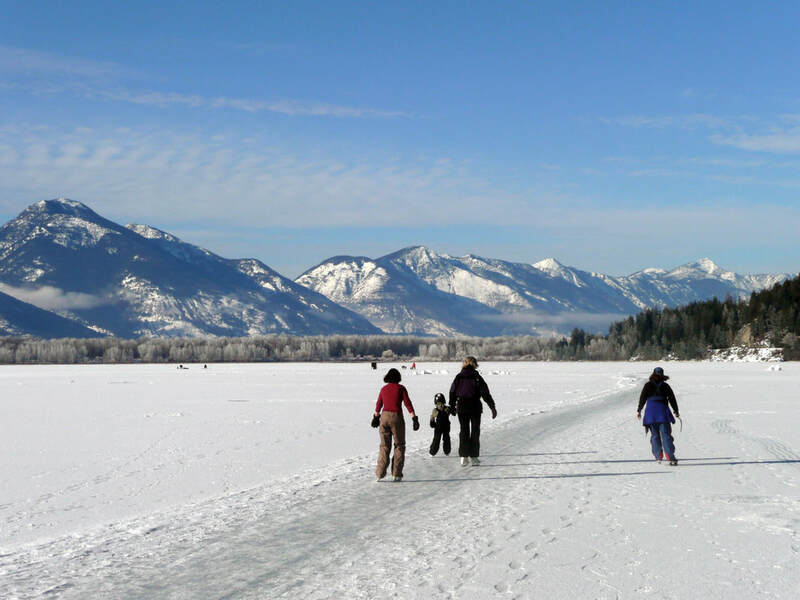 Be sure to grab a permit from the Creston Valley Wildlife Management Area before you head out! 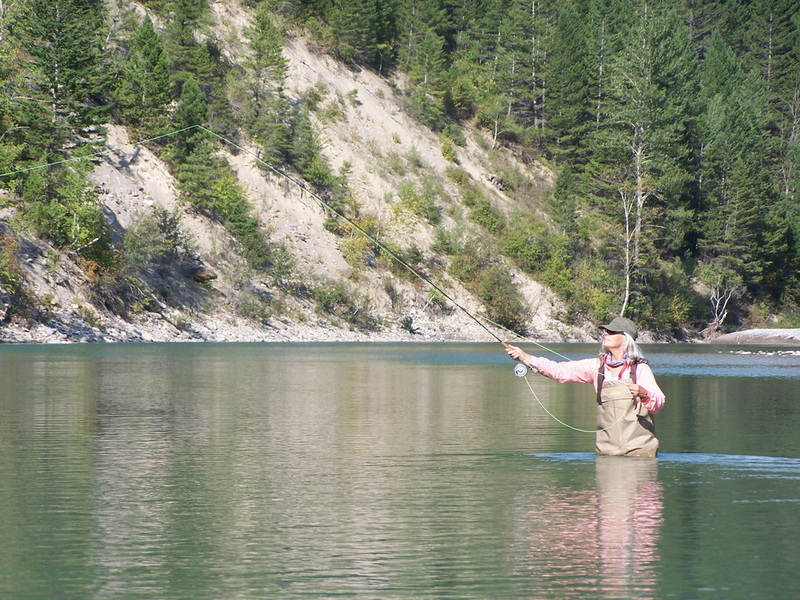 Regardless of your age, or fitness level, Fly Fishing is very beneficial for well being and therapeutic in many ways. It helps connect us to nature and helps us stay focused and in-the-moment. Your senses become alive and sharp, and you are fully engaged and aware of your surroundings. You are exhilarated and calm at the same time. 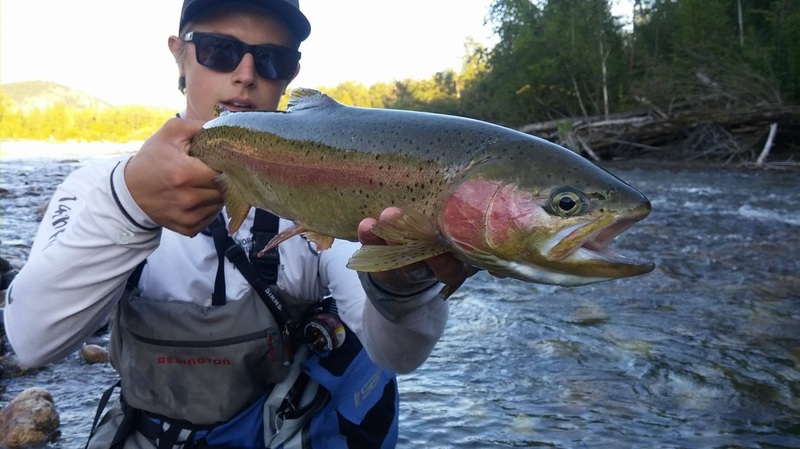 Fly Fishing is great in helping to reduce stress. Join the network of local women who fish. 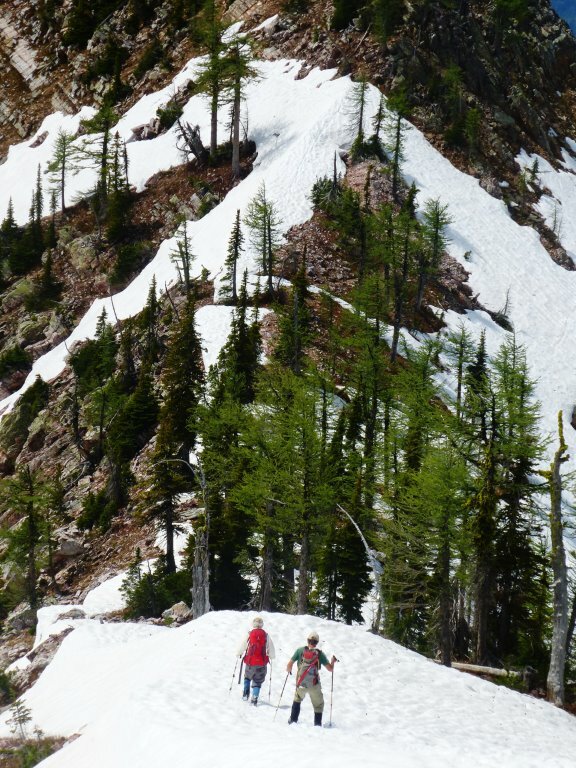 There are many spectacular hikes in the Creston and Kootenay Lake valley. Their level of challenge to hikers’ ability ranges from easy to very challenging. However, the easy hikes are not any less beautiful and fulfilling than the difficult ones. It all depends on what type of hike you want. There are few informal hiking groups to join up with. For instance, the Boswell Hiking Group has well over 100 hikers. 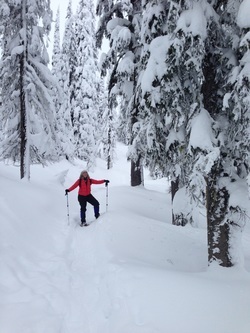 You can also find out about trails by visiting the Trails for Creston Valley Society web site and also Pilot Point Trails. You will also want to be aware of bear and cougar activity in the area you will be hiking in. Unless there is a trail closure you can safely enjoy the wilderness with some wildlife awareness knowledge. Bear Aware is a good site for learning more. There is no doubt that weather patterns have changed. I have personally noticed farmers are now able to grow crops in some areas of the valley that were previously considered impossible, even with the use of new technologies and hybrid fruits. Also, I have noticed the forest fire season starting earlier in the summer and there are more fires than in the past. Before lighting a campfire check to see if there are any fire ban restrictions. Also, before heading into the back-country be sure to find out if there are any forest fires in the area. Even if there are no fires please take extra precaution to avoid accidentally creating one yourself. If you see a wildfire report by calling *5555 or 1-800-663-5555. It is advisable to create a "grab and go" kit to have handy, just in case a forest fire is threatening your safety. This area is recognized as being an important wildlife corridor and therefore it isn't surprising that living with wildlife is big part of the local lifestyle. It is important to always consider how your actions are affecting wildlife. For instance, we do not want bears becoming used to eating garbage and ripen fruit left on the ground to rot. It encourages bears to frequent residential areas. This will put people at risk and end the bears life. Find out how to create wild-safe yard by visiting Wild Safe BC. You can call your Grizzly Bear sighting into RAPP line 1-877-952-7277 or #7277 on Telus mobility network. The longest free ferry ride in the world transports passengers across the Kootenay Lake year round from Kootenay Bay to Balfour and it is a part of Highway 3A. Many passengers also enjoy the cruise for the scenery. Most boaters in the winter are fishermen. However, once the temperature warms up boaters come out in all types of crafts (except thru-hull noisy boats are frowned upon). Most people use their boats as a taxi to get them to isolated public beaches for picnicking or to use their boat as a swim pad or to tour the shoreline. Pictographs can be seen across from Kuskanook Harbour and north of Riondel. Kayaking is becoming very popular. There are an abundance of places to kayak in the Creston Valley and Kootenay Lake (including upper mountain lakes). In their off seasons these ski locations also provide for some great hiking and biking experiences. Mountain culture is something that is experienced. However, some have the gift to describe it well. 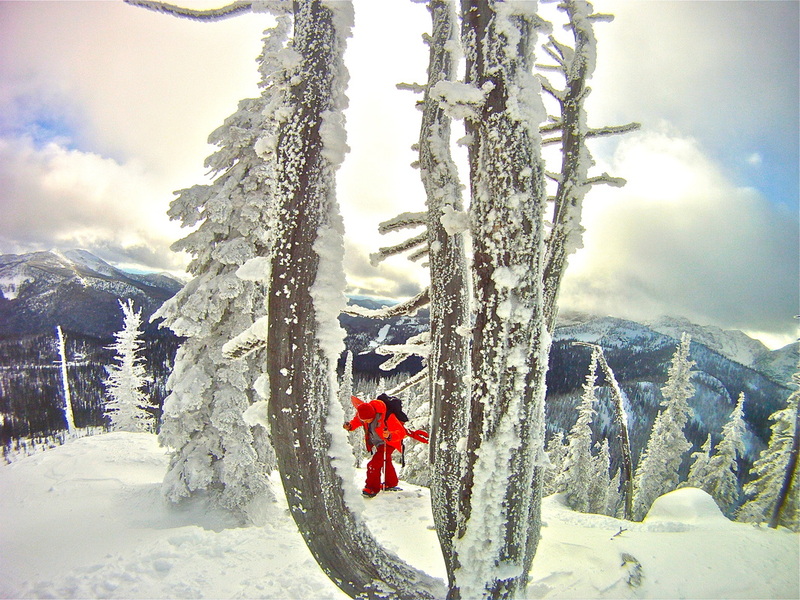 Check out the Kootenay Mountain Culture magazine.